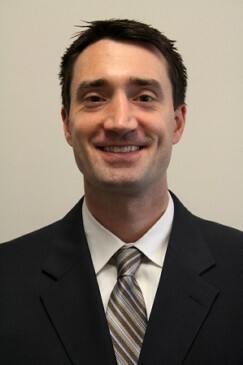 Dr. Ryan Graver grew up in Mansfield, Pennsylvania. He is happy to be back in the region and serving the communities of North Central Pennsylvania. Dr. Graver received a Bachelor of Science degree in Biology from Muhlenberg College, where he also played basketball. He then earned his D.M.D. at the University of Pennsylvania, School of Dental Medicine. There he served as President of the Penn Endodontic Society and was honored with the AAE Endodontics Award. Next, a one-year General Practice Residency at Albert Einstein Medical Center in Philadelphia provided Dr. Graver many experiences in hospital dentistry, the management of medically complex patients, and severe dental trauma. Throughout his years of education and clinical work, Dr. Graver developed a passion for tooth preservation and relieving pain to improve the oral health of his patients. He decided that his meticulous nature and comprehensive outlook on patient care was a perfect match for endodontics. The trials of diagnosis and treatment, along with the urgency of acute dental pain, made endodontics both challenging and exciting for Dr. Graver. He also found the use of microscopes and technique advancements to be especially fascinating and decided to specialize in endodontics. He completed two additional years of endodontic specialty training at the University of Medicine & Dentistry of New Jersey (UMDNJ) in Newark, New Jersey. Since completing his postgraduate training, Dr. Graver has been utilizing the microscope for conventional and surgical endodontics in a Philadelphia private practice. He is also an active candidate in the American Board of Endodontics board certification process. His professional memberships include the American Association of Endodontists, American Dental Association, Pennsylvania Dental Association, and the Louis Grossman Endodontic Study Club. Dr. Graver, his wife, Laura, and two daughters enjoy living in Lewisburg and visiting family in different parts of the country. Ryan also follows many different sports and loves to work out.